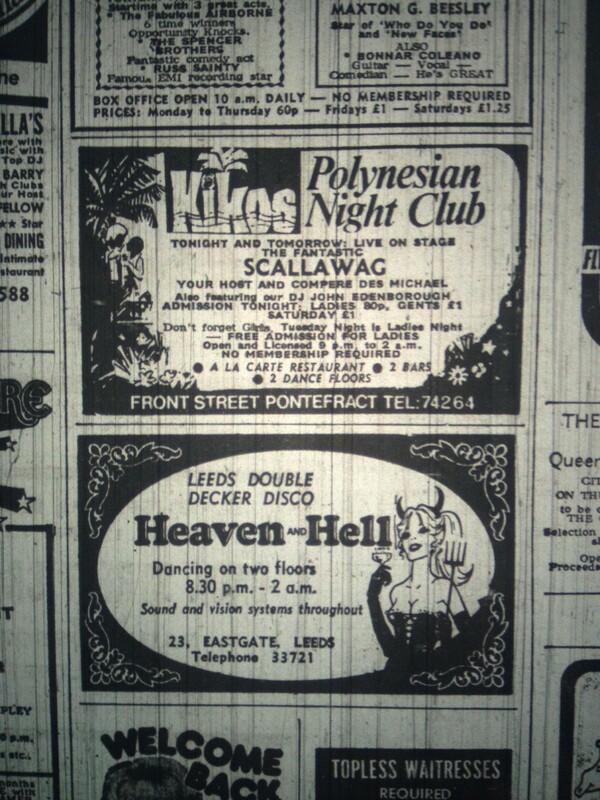 Heaven and Hell, above, was one of Leeds’ first clubs to embrace the ‘dual dance floor’ concept and, by the late seventies, had become well-known as a punk and alternative venue. It occupied two floors of the building at 23 Eastgate, currently occupied by Hadramout Arabian restaurant. Interestingly, the ‘Heaven and Hell’ name resurfaced in the late nineties as that of an unrelated nightclub within the Grand Arcade, which again boasted two rooms with different identities. The Cinderellas section welcomed students, stags and hen parties, contributing to a younger and more casual crowd who were often to be found dancing around handbags or competing in outrageous stunts to win bottles of champagne, often egged on by Peter Stringfellow himself. 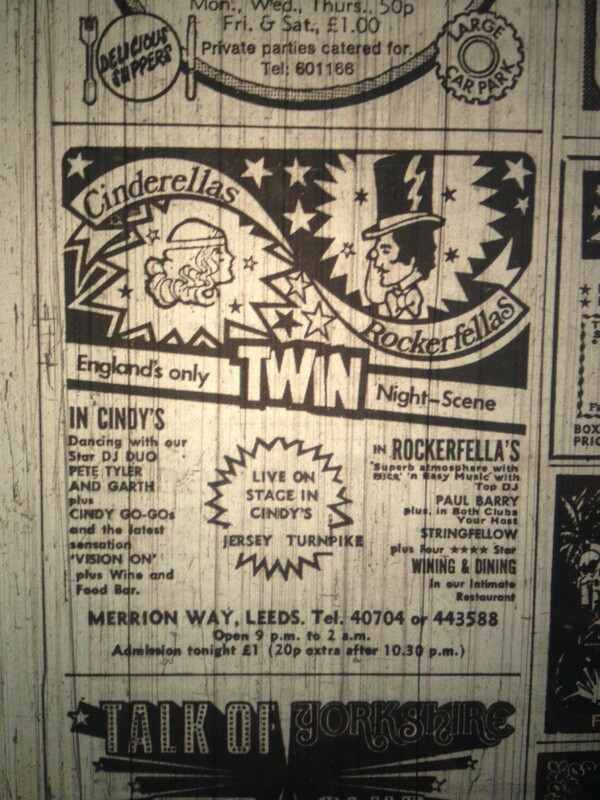 Next-door, Rockerfellas catered for a slightly older and classier crowd – although, according to reports, it wasn’t unusual for its clientele to venture into Cinderellas on the prowl, before bringing their conquests back into Rockerfellas to escape the younger competition. 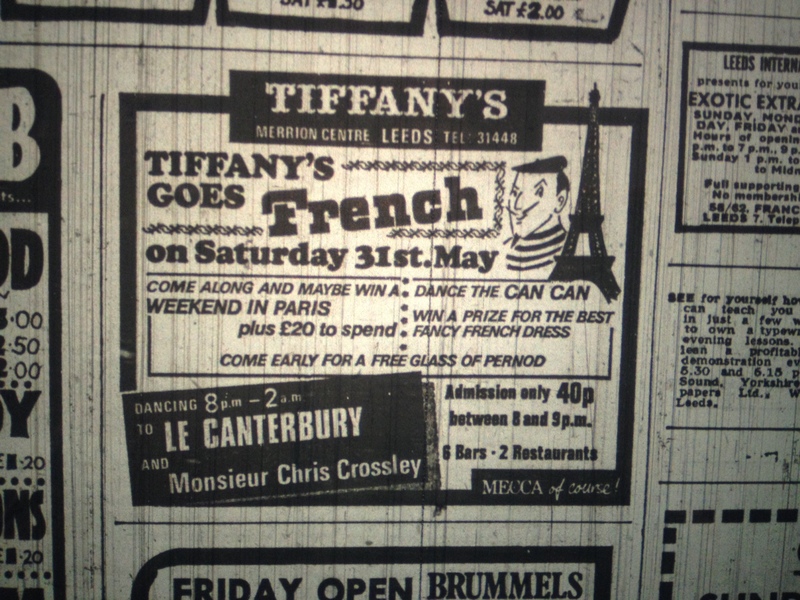 As you can see from the branding at the bottom of this advert, Tiffany’s was owned by the Mecca Leisure Group, who’d been behind the successful and long-running Mecca Locarno Ballroom in County Arcade until it closed in 1969. In fact, Tiffany’s itself previously operated as the New Mecca for the best part of a decade. The space has since been occupied by a number of nightclubs, including Ritzy and Oceana, and is now part of the recently-opened Pryzm. The entrance could be found by walking down from town along Briggate and looking for a little door on the left, just after the overhead railway bridge. Two flights of stairs led up to a dark and mysterious space illuminated only by low-hanging lampshades. The night spot prided itself on its sophisticated food options… which in the seventies meant the ubiquitous ‘chicken in a basket’. 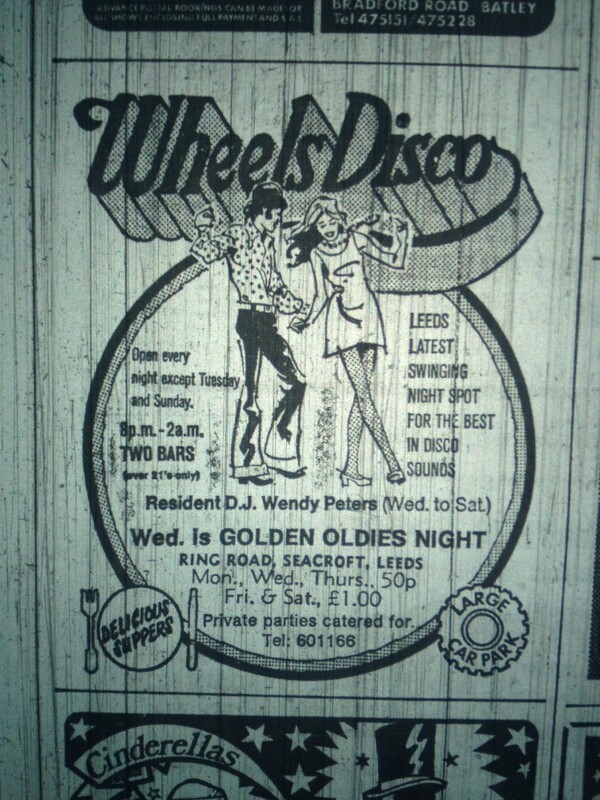 The reason many clubbers might have ventured out of the city centre back in the seventies was that venues in the small adjoining towns and suburbs were regarded as ‘friendlier’ – which is to say the doormen would allow you in even if you looked under 21 or, in the case of men, had a longer hairstyle or weren’t wearing a tie (a major no-no at a place like Rockerfellas!). 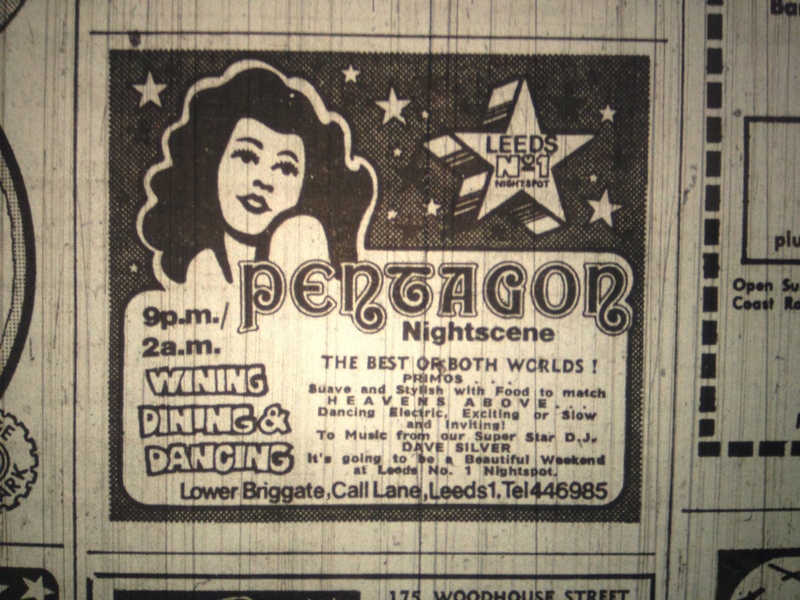 To walk the streets of Leeds today is to pass by the ghosts of many long-vanished nightclubs hiding in the coffins of shops, restaurants and disused buildings. As the flames rose over the roof of the Majestyk recently, another found its final resting place in the city’s history.